Tangerine Audio, founded by Mark Digman and Derek Jenkins, is a specialist audio manufacturer based outside London. Tangerine have developed an enviable reputation for producing precision upgrade products for the Linn LP12 turntable. All of Tangerine's products are designed and manufactured to the highest level of precision here in the UK using some of the top engineering and fabrication companies available. 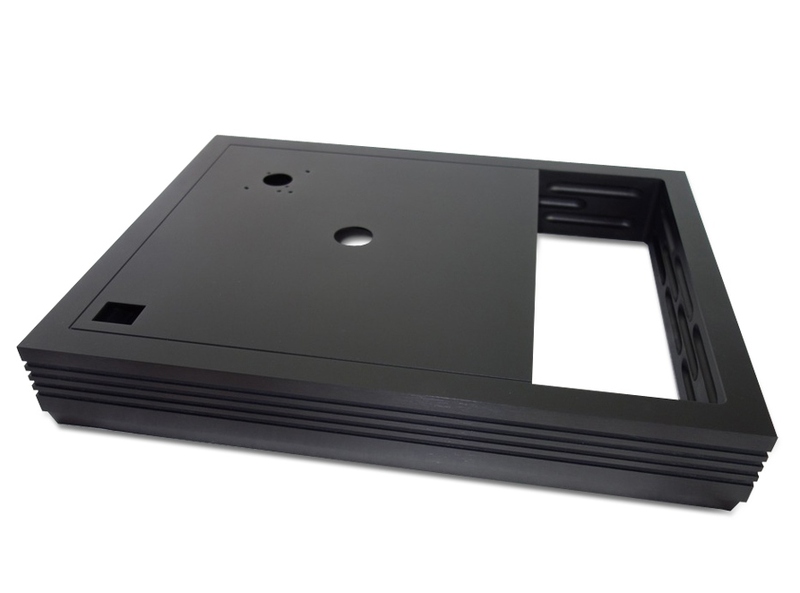 The Karmen top plate was the first product designed by Tangerine Audio for use with Linn’s iconic LP12 turntable. 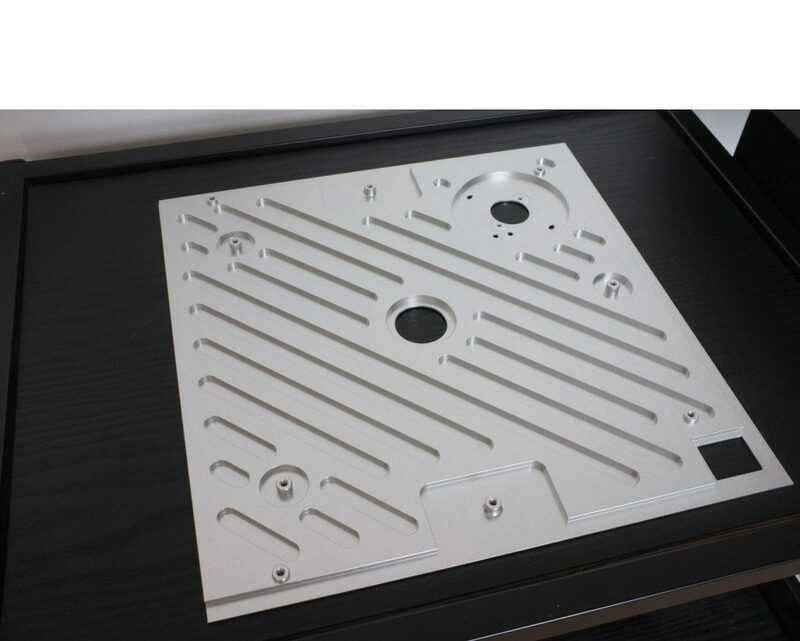 This 3rd party replacement for the LP12’s original stainless steel top plate is precision-machined from a solid billet of aluminium and comes with bespoke fixings and a machined cross-brace. Although the technical specifications remain a closely guarded secret, Tangerine use only the highest grade materials, chosen for their specific application. In comparison to the standard top plate, the Karmen brings greater musicality and flow, improved dynamics, deeper, better-defined bass and maintains the LP12’s impeccable timing. All this coupled with an incredibly quiet background makes for a more realistic and engaging performance and, as many of our customers tell us, represents a serious upgrade to the LP12. Available in a brushed silver or black finish, this is a clever and attractive upgrade for your LP12 and needs to be heard! Following on from the success of their Karmen top plate, Tangerine Audio have now introduced their new Plateau sub-chassis for the Linn LP12 turntable. Plateau is a two-part system with both the chassis and arm board being machined from high-grade, solid aluminium billet. The arm board itself is finished to the highest standards and looks superb on the LP12. What’s more, it supports Linn, Naim ARO and Rega mounts, giving you a wider choice of arm than is the case with some sub-chassis options. The Plateau’s sub-chassis and arm board feature the same machined grooving on the underside as the established Karmen top plate, something of a Tangerine hallmark. 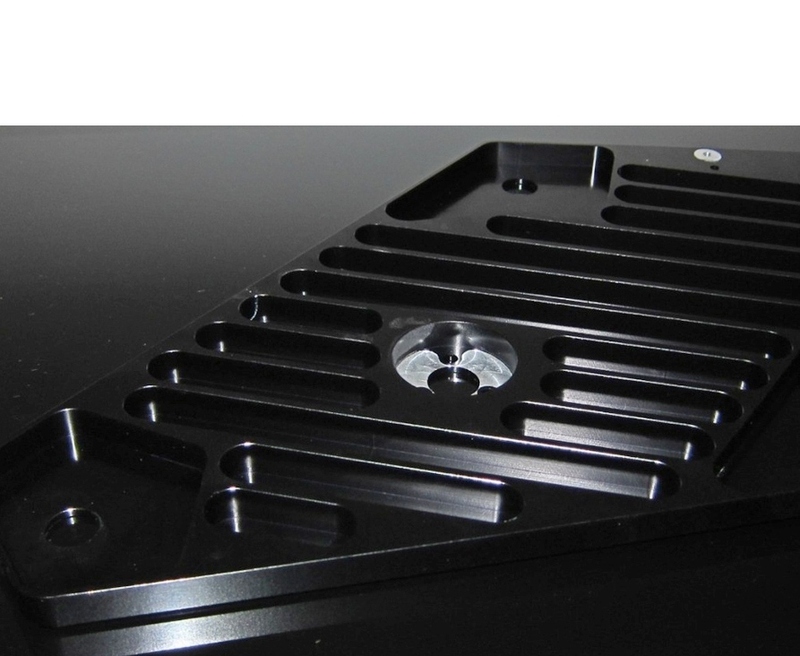 The sub-chassis also features three lands where the bearing housing and arm board are mounted to achieve superior contact, resulting in better performance. The increase in the turntable’s performance and enjoyment is not subtle; there is an extension in the bass, more detail and better timbre, together with exceptional timing. We are delighted to announce that both Plateau and Karmen are now available for demonstration here at Cymbiosis. Tangerine Audio’s new flagship product Stiletto is a one-piece, aluminium plinth/top plate. It is machined from a solid billet of aluminium, the top plate section being the same as the Tangerine Audio Karmen. Stiletto takes the LP12 into uncharted territory and raises the performance bar to a new level, it is quite simply stunning. Tangerine Audio consider this to be the most exciting thing they have done and it is on demonstration here at Cymbiosis.